John and Joshua, two high spirited brothers who set out with a mission to one day run their own business and boy, have they done just that. 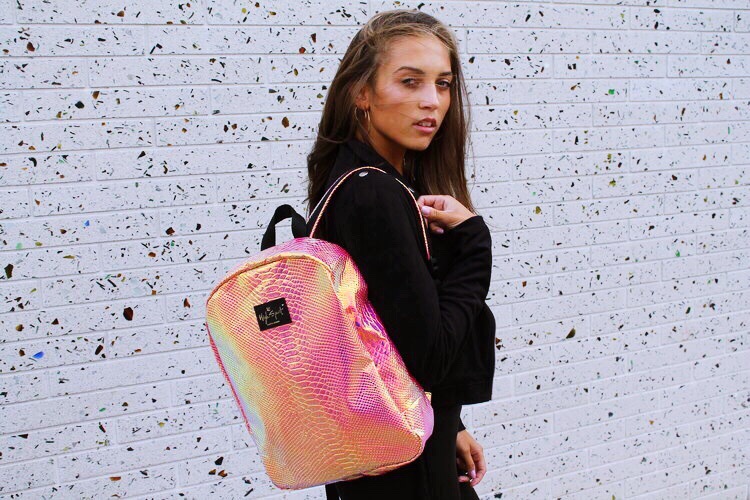 Not only are they now owners of their own bagpack company, they have created something completely unique and unseen- theft-proof bags! When travelling in New York they were constantly being reminded to watch their bags and possessions, setting a paranoia over the whole trip. It was then that they came up with the fabulous idea of a stylish bagpack safe from theives and saw the beginning of High Spirit Bags. By making one simple amendment to the standard bagpack- having the zip run down the spine of the bag rather than the front- they have upped the game in the bag world and done some good at the same time. Genius! The bags also look super cute and they’re unisex. It’s not surprising that I’ve worked with the boys before (click here), such energetic, welcoming characters that fully deserve every bit of success that comes their way. I just had to work with them again so was beyond excited when they asked me to feature as this month’s Global Citizen. You can see the full feature and learn a little more about me and the boys by clicking right here. I’m sure you’ll be seeing much more from them very soon. < How To Beat The Hangover This Bank Hol!